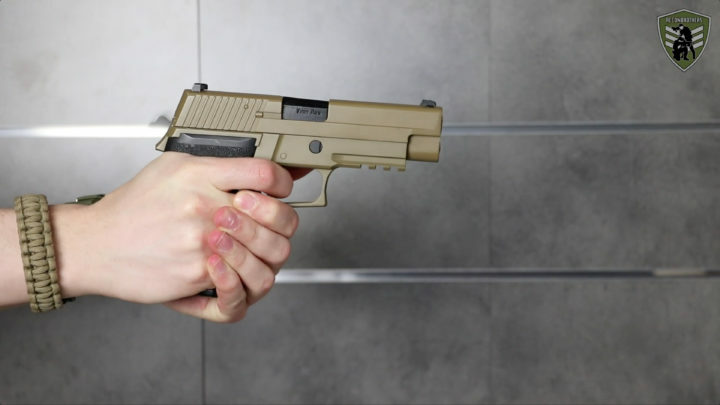 Be aware that there are two kinds of gas blowback airsoft pistols. There is a group that is being powered by green gas and another one being powered by CO2. 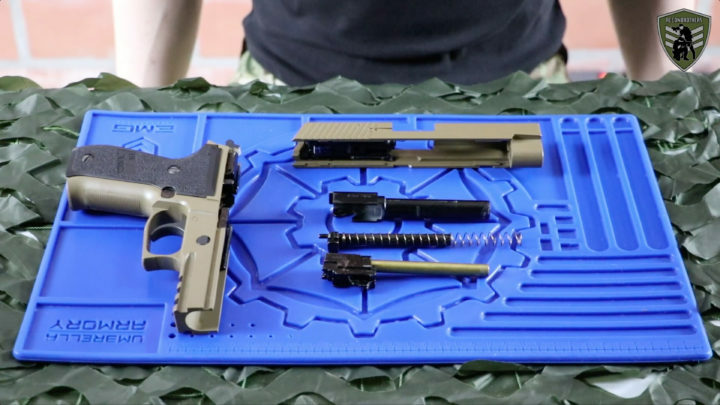 The method shown here to clean your GBB pistol works for all these differently powered systems. The lifespan of these pistols, like any other gun, depends on the maintenance of its parts. 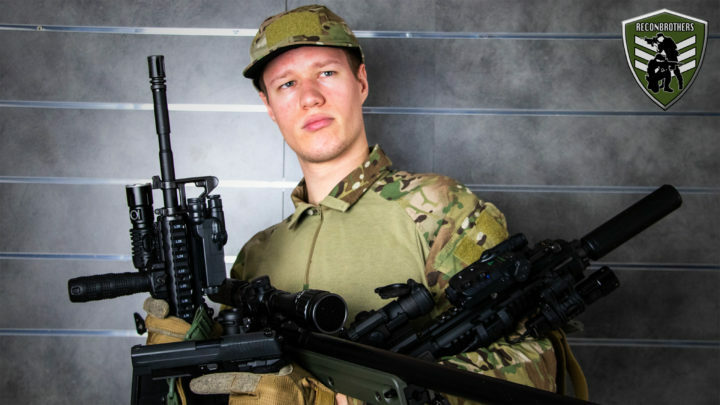 Also the performance can be dramatically affected when not taking care of your airsoft pistol(s). 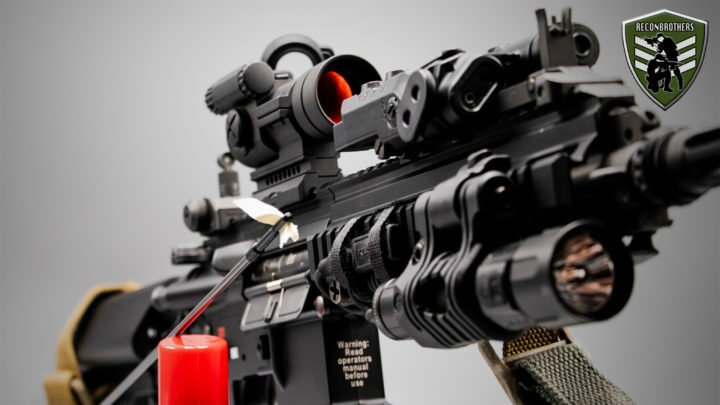 Especially airsoft gas blowback systems are fragile when not properly being taken care of. So make sure to clean your GBB pistol right. 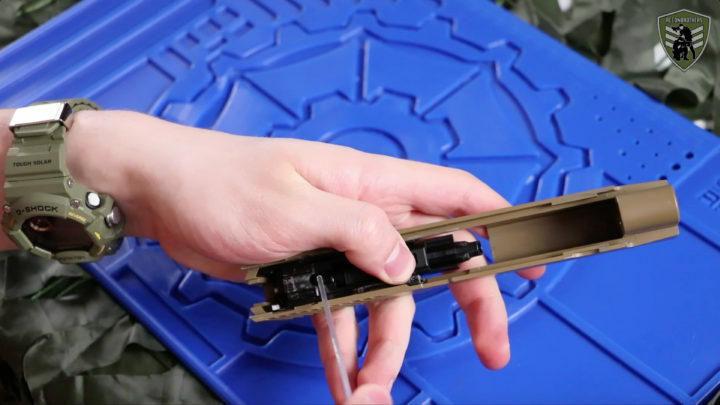 The frequency for cleaning your airsoft pistol depends on where you are usually playing. To determine how often you should clean your pistol simply go play about 3 days of airsoft and clean it afterwards. When you notice a difference in the smoothness of your slide than you know it was useful. If not stretch the period a bit more until you find your own time-lapse. Only use these kind of oils because other oils may harm the rubber parts of your airsoft pistol! Take out the magazine and make sure the chamber is empty. 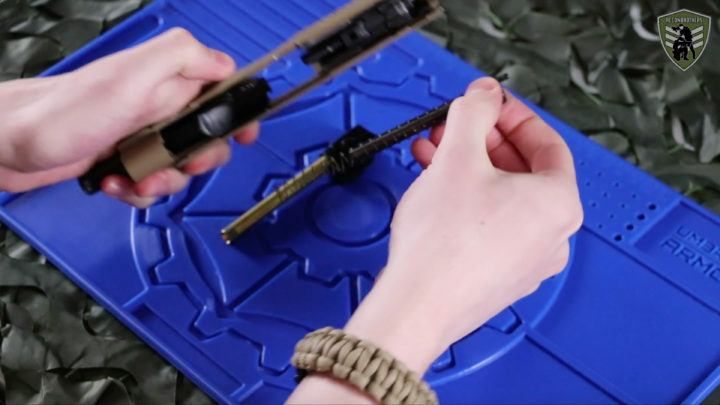 2.Pull back the spring guide and take out the inner barrel together with the hop-up chamber. 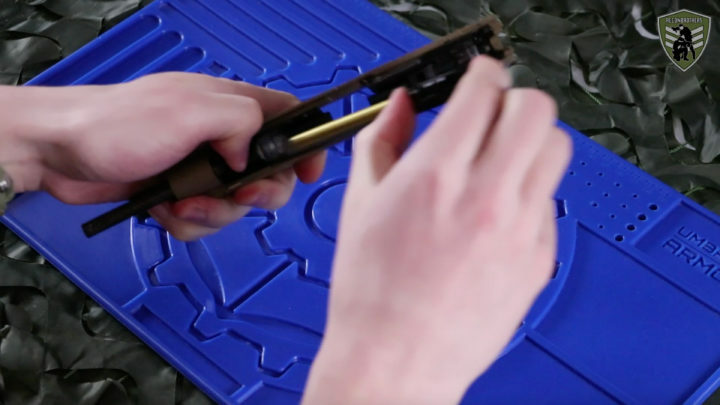 3.Take out the spring and spring guide. 4.Take out the outer barrel. 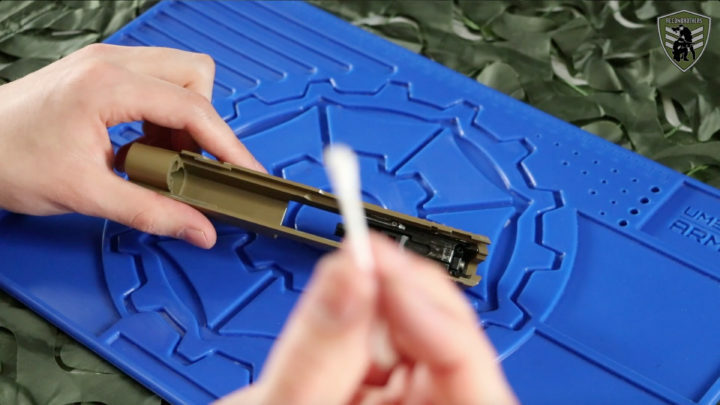 1.Use q-tips to remove dirt from the slide and the handguard. Do this until your q-tips keep clean after wiping over the parts. 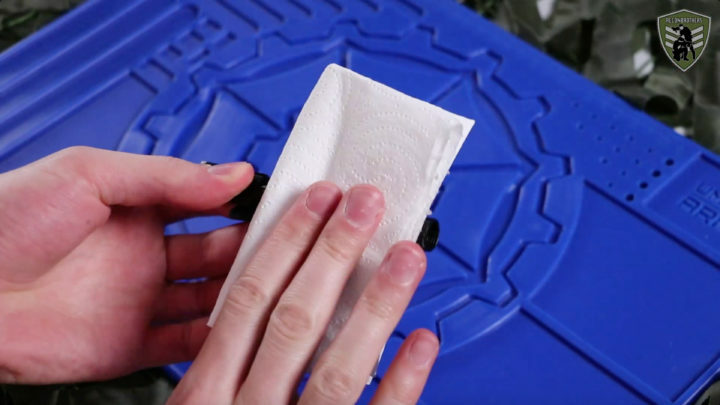 2.The other internal parts can be cleaned by wiping them off with a paper towel. 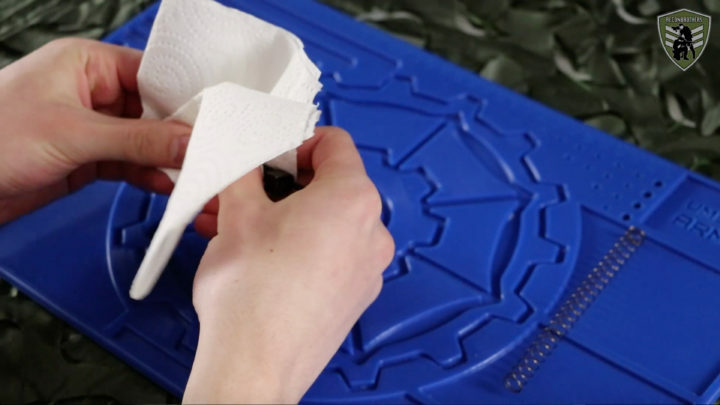 1.Lubricate the inner and outer barrel by using a paper towel that has been sprayed with silicone oil. 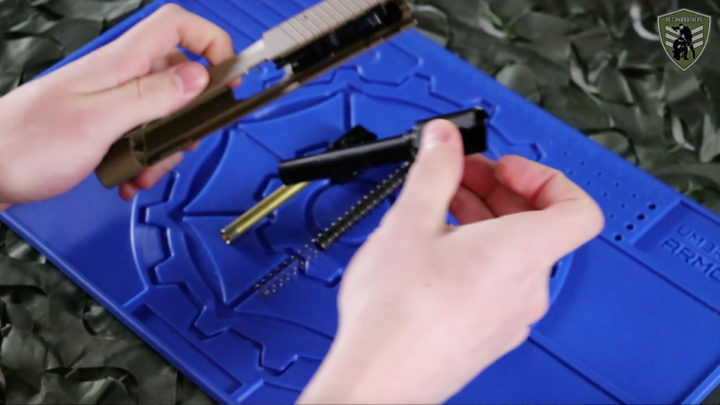 2.Use a small brush to lubricate the spring guide, the grooves of the slide and the grooves of the handguard with a small amount of Teflon gun grease. 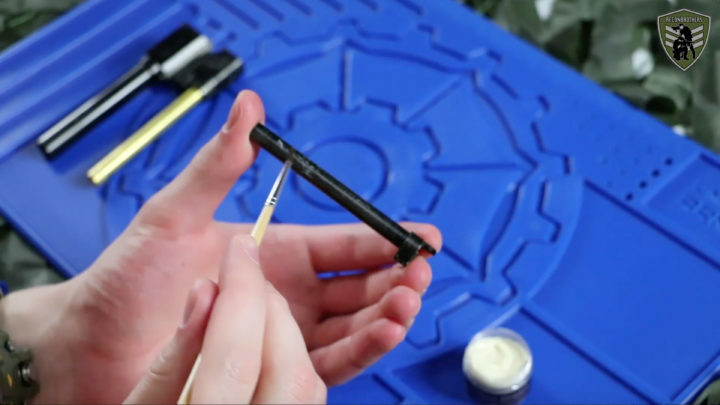 3.Lubricate the remaining internal parts by using some silicone oil on a q-tip. 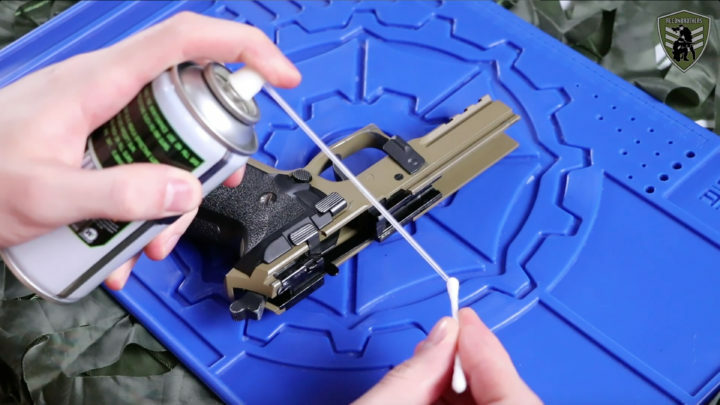 Spray some silicone gun oil in the nozzle seal of your magazine(s) and the piston of your pistol to prevent the rubber parts from drying out. 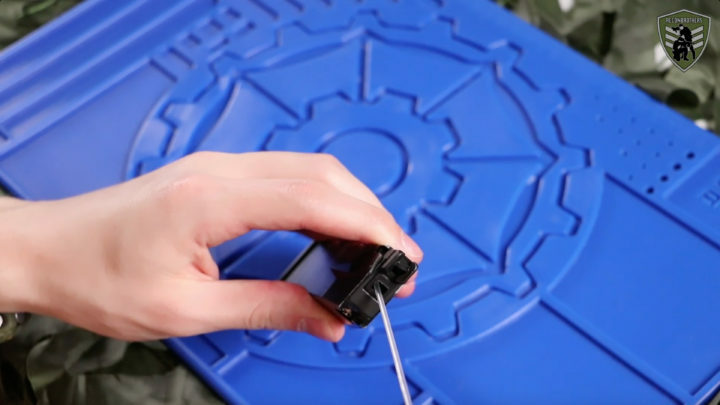 1.Do this the exact opposite way of how you disassembled it. 2.Remove the excessive amounts of oil by taking a few shots with each magazine. 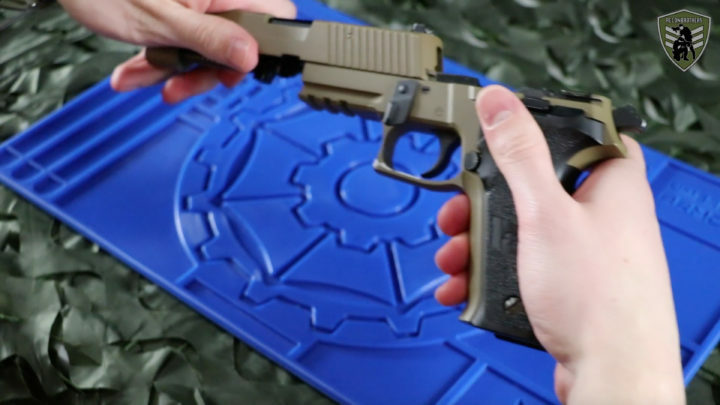 Do this WITH BBs because DRY FIRING IS BAD for an airsoft gas blowback pistol. Done, now you can enjoy a clean and reliable airsoft pistol in your next games!